Success! Vumilia from Tanzania raised $1,035 to fund an amputation. Vumilia's treatment was fully funded on June 21, 2018. Vumilia’s surgery went well. She will no longer experience back pain due to the imbalance of her legs. She will soon have a prosthetic leg. Vumilia is a 12-year-old girl from Tanzania. She loves school and especially enjoys studying Swahili. She is the youngest in a family of three children. Her mother is a subsistence farmer, and her father works for a mining company. Vumilia was born with a longitudinal deficiency of the tibia, so her right leg is bent below the knee and is shorter than the left leg. This makes walking difficult. Over time, she will develop back problems due to poor balance. Fortunately, Vumilia visited our medical partner’s care center. There, she will undergo an amputation on April 13. This surgery and prosthesis will allow her to be able to walk without problems, and she will not be at risk of developing back problems. Her family needs help raising $1,035 to fund the procedure. Vumilia's case was submitted by Joan Kadagaya at African Mission Healthcare Foundation in Tanzania. Vumilia was submitted by Joan Kadagaya, Curative Medical Support Program-Partner Representative at African Mission Healthcare Foundation, our medical partner in Tanzania. Vumilia received treatment at Arusha Lutheran Medical Centre (ALMC). Medical partners often provide care to patients accepted by Watsi before those patients are fully funded, operating under the guarantee that the cost of care will be paid for by donors. Vumilia's profile was published to start raising funds. Vumilia's treatment was successful. Read the update. Vumilia's treatment was fully funded. John is a farmer from Malawi. John lives with his wife and eight kids. He enjoys doing handicraft work when he is not busy working on his farm. Since about a year ago, John has been experiencing pelvic pain and failure to urinate. These symptoms are caused by an enlarged prostate, a condition called benign prostatic hyperplasia. He needs to undergo a prostate resection surgery, a procedure in which surgeons will remove part of the enlarged gland. 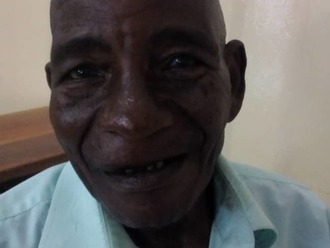 Our medical partner, World Altering Medicine, is requesting $733 to fund John's surgery. On April 16, he will undergo prostate surgery at Nkhoma Hospital, our medical partner's care center. The requested money pays for supplies, medications, and two weeks of hospital stay. He says, "We thank you so much, and we hope that this program can go on assisting others as well!" 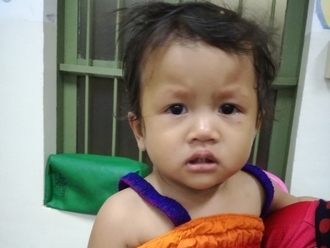 Pharin is a baby from Cambodia. Three months ago, Pharin's mother noticed that one of her daughter's legs was shorter than the other as she began walking. Surgery will help correct the position of Pharin's hip bone, preventing any further worsening of the condition as well as allowing Pharin to walk and stand comfortably as she grows older. Surgery is scheduled for March 13 and will cost $390. Her mother says, "I hope that my daughter will be able to walk normally and not have any issues."